Ronan O`Rahilly gave EAP an exclusive interview in 1984. In this 50 minute interview Ronan talks candidly about Radio Caroline, how it has occupied most of his life and how he has battled on against all the elements to emerge an all-time campaigner for free radio and freedom of speech. 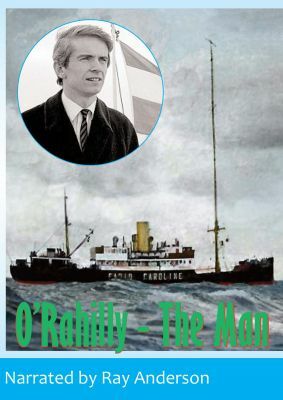 Also included are many rare pieces of TV footage from the 1960s including film shot for Australian TV with Rolf Harris, newspaper cuttings and stills to give a full account of Radio Caroline from 'the man' himself - Ronan O'Rahilly.